Sonoma Ranch Homeowners Association is a growing community with two sections finished, two sections near completion and two more sections coming on board. Since their inception in 2003 they already have 580 homes. The community has added small parks in section 2 along with a pool and recreation center that will open this season for the first time. There will also be a large park and playground at the rec center. Beautification of the entrances and monument are also in progress in section 2. Although Sonoma Ranch is still under developer control, Coastal Bend Property Development is the developer, the homeowners have really taken a positive and active role to see that community continues to achieve. The homeowners, with C.I.A Services’ help and guidance, have started a beautification committee that has already worked hard by collecting contributions from a nearby business for the Yard of the Month contest winners this year. Another volunteer dedicated their time to do our website and is doing a wonderful job. Our first newsletter went out to Sonoma Ranch homeowners thanks to the work of another member and her husband that volunteered. And just recently, two more homeowners contacted C.I.A. Services to say they would like to be on the Social Committee, just in time for the pool opening. With wonderful members that care about their community as much as all the great volunteers we have, you know that Sonoma Ranch will continue to be a remarkable place to live. Sonoma Ranch and its homeowners are very deserving of this award for all the work and accomplishments they have and will continue to achieve. 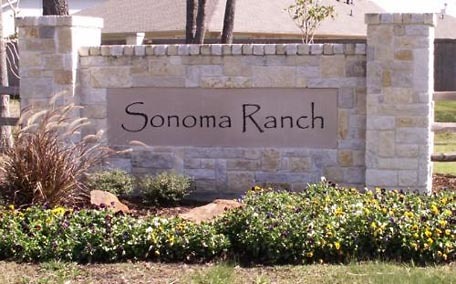 It is a pleasure to honor Sonoma Ranch Homeowners Association with Community of the Month.